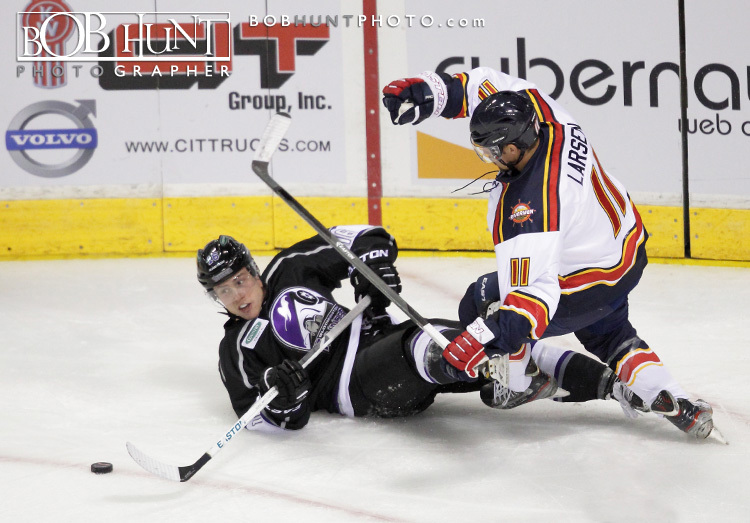 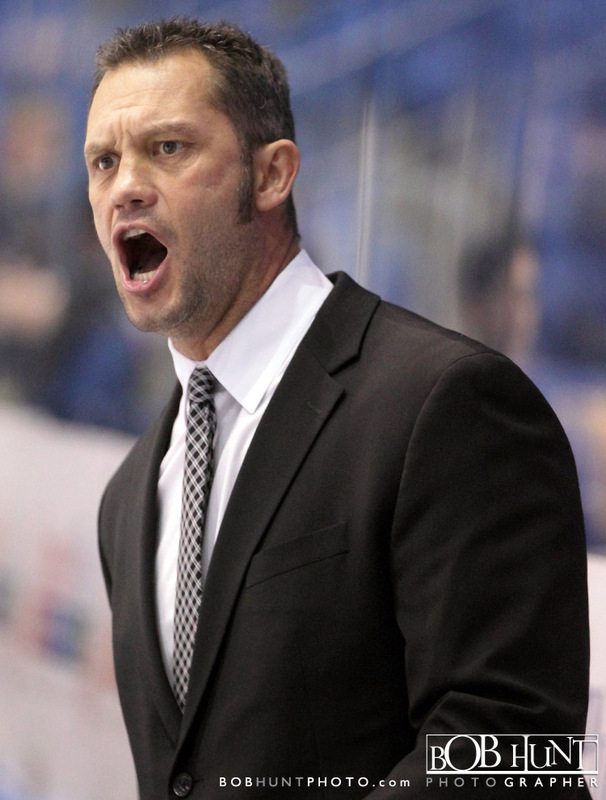 The Bloomington Thunder gave new head coach Greg Pankewicz a victory in his SPHL debut with a 5-1 win over the Mississippi Surge on Friday night at U.S. Cellular Coliseum. 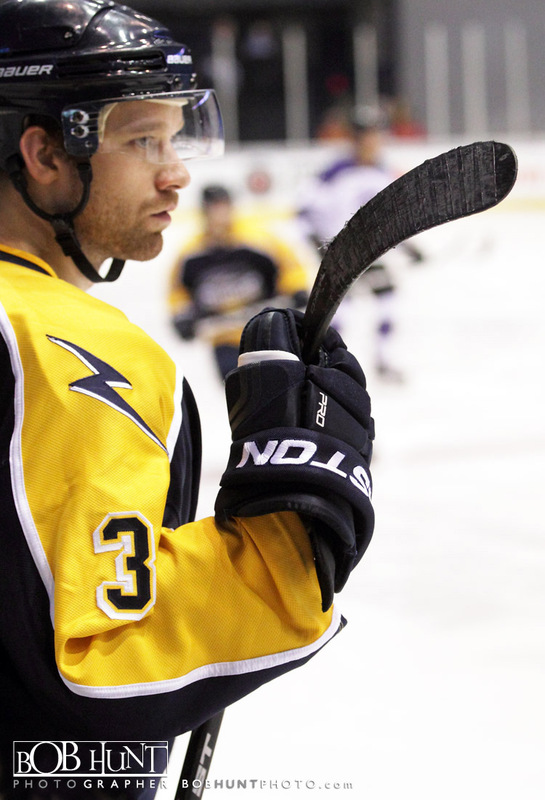 The Thunder opened the night’s scoring with 10:57 remaining in the opening period when Burke Gallimore reached a bouncing puck deep and slipped it inside the right post. 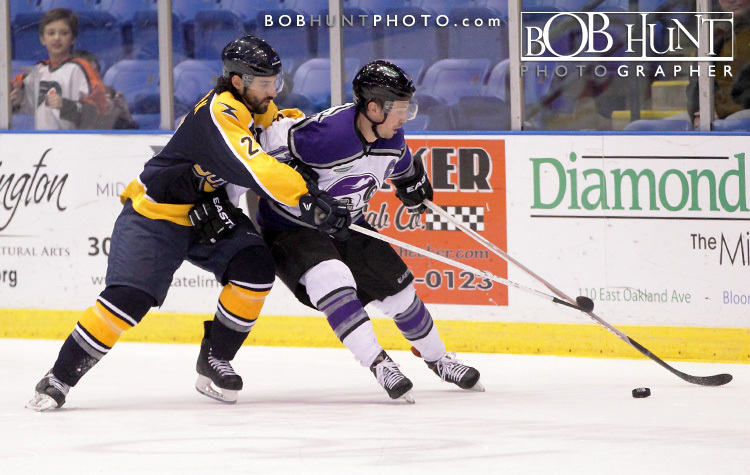 The Thunder increased their lead to 2-0 just 32 seconds into the second period when Gallimore forced a turnover and Dennis Sicard scored through the five-hole from the bottom of the right circle. 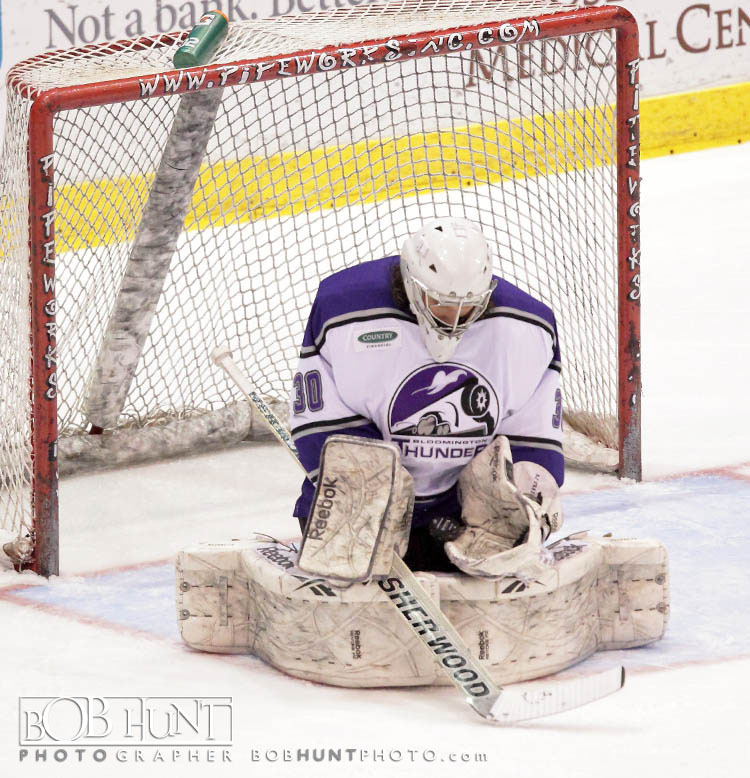 The Thunder pushed the advantage to 3-0 with 12:31 left in the middle chapter when Tyler Noseworthy forced a turnover high in the attacking zone and wristed a drive top shelf, which ended the night for starting Surge goalie Dan Clarke. 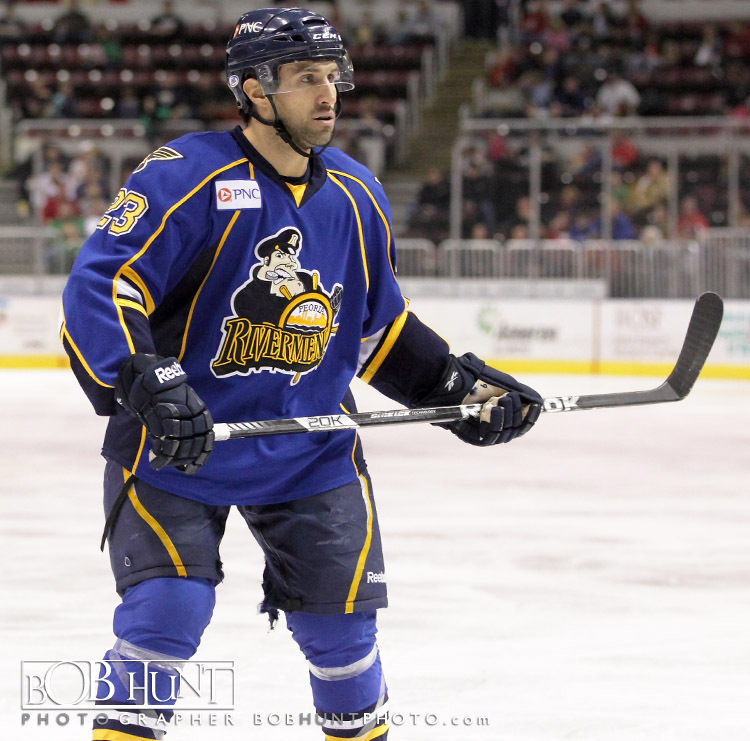 A power play goal by Travis Granbois at the left post on feeds from Kevin Walrod and Ron Cramer with 9:46 left in the second period increased the hosts’ lead to 4-0. 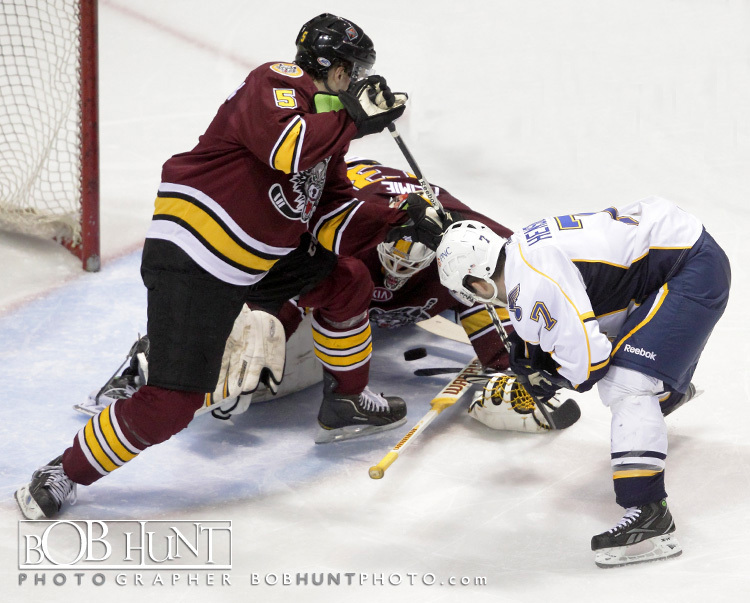 The Surge finally scored with 16:48 left in regulation just as their power play expired on a wrister by Jarkko Leppanen on the glove side just inside the right post. 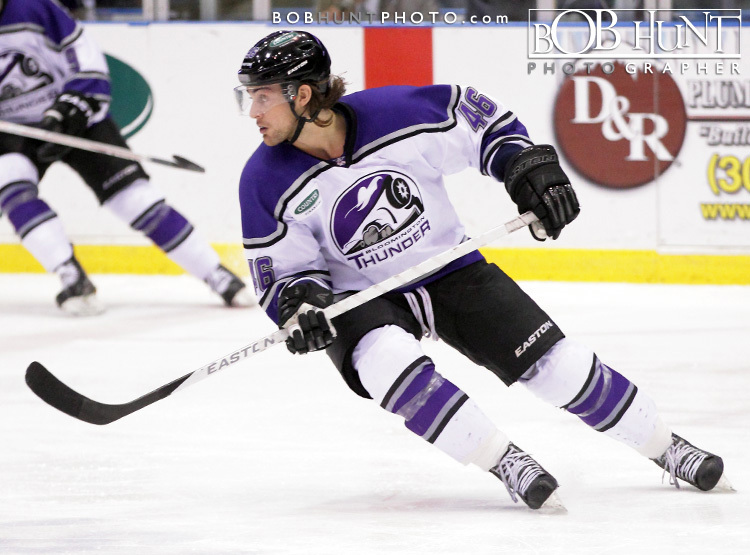 Gallimore recorded his second goal of the game when a deflected puck landed on his stick at the inside edge of the right circle followed by his blast to put the Thunder ahead 5-1 with 14:24 remaining in regulation. 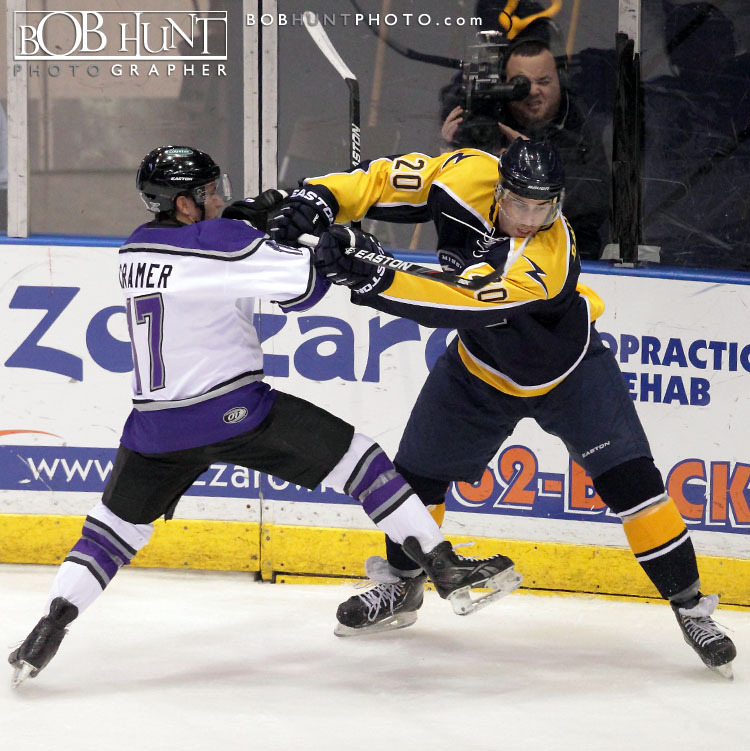 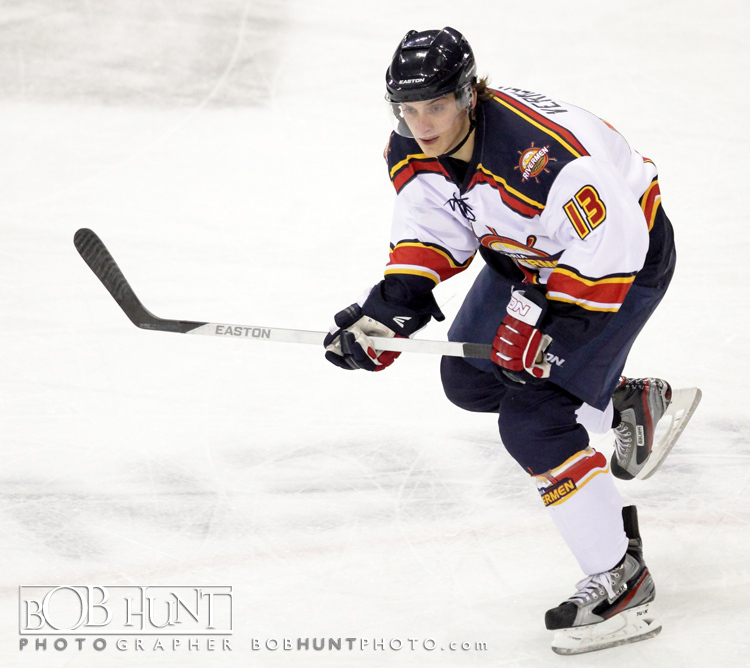 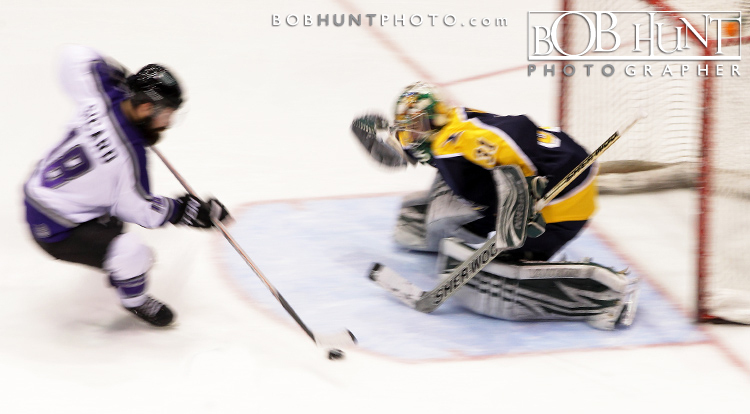 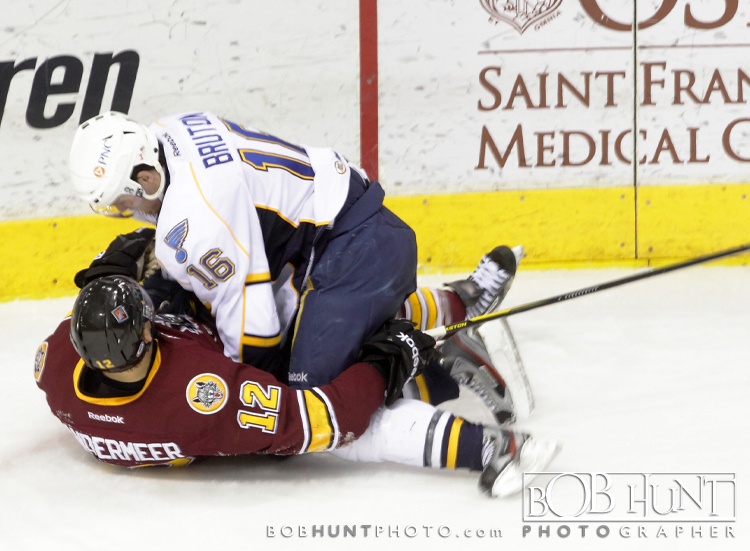 Rookie center Garrett Vermeersch netted the game winner, and his third goal of the night, with 3.6 seconds left in regulation as the Peoria Rivermen edged the Bloomington Thunder 7-6 in there SPHL home opener at Carver Arena. 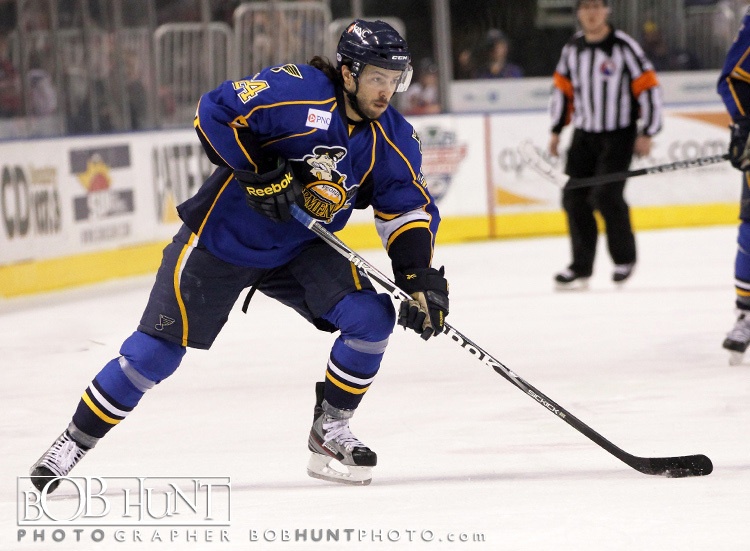 Nick Prockow also scored a hat trick in Peoria’s home opener before 5,689 fans. 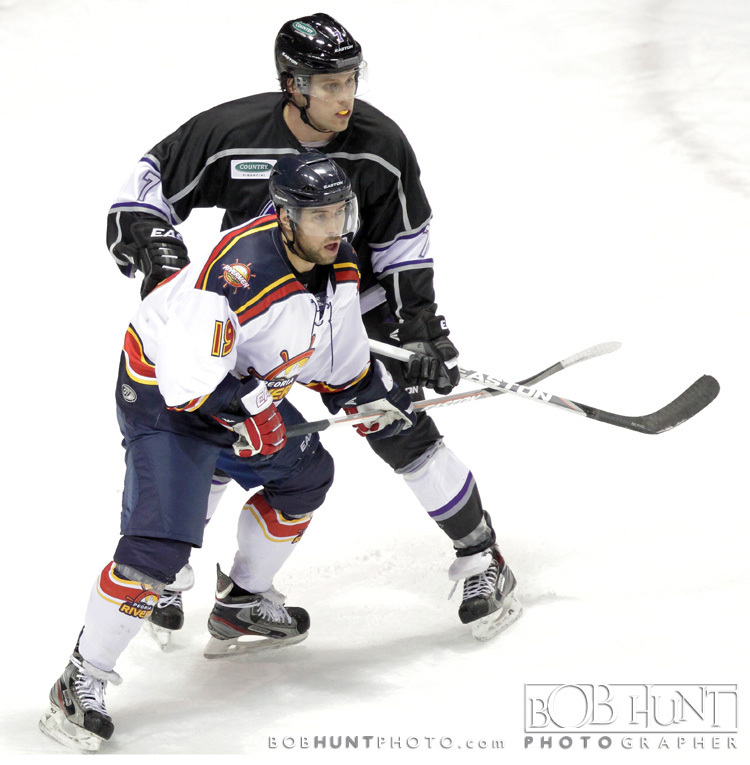 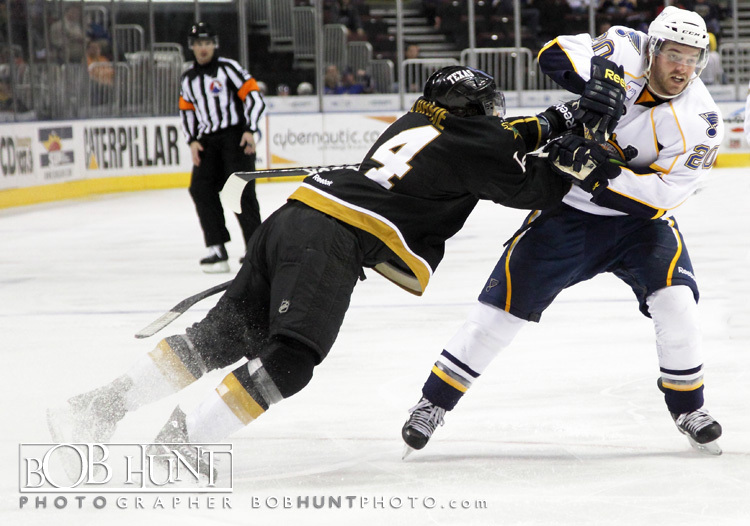 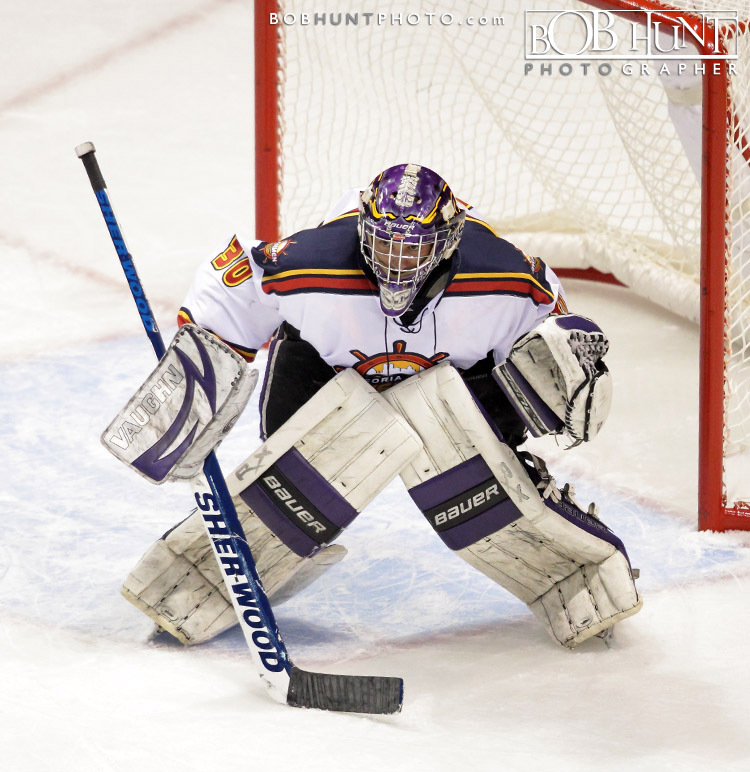 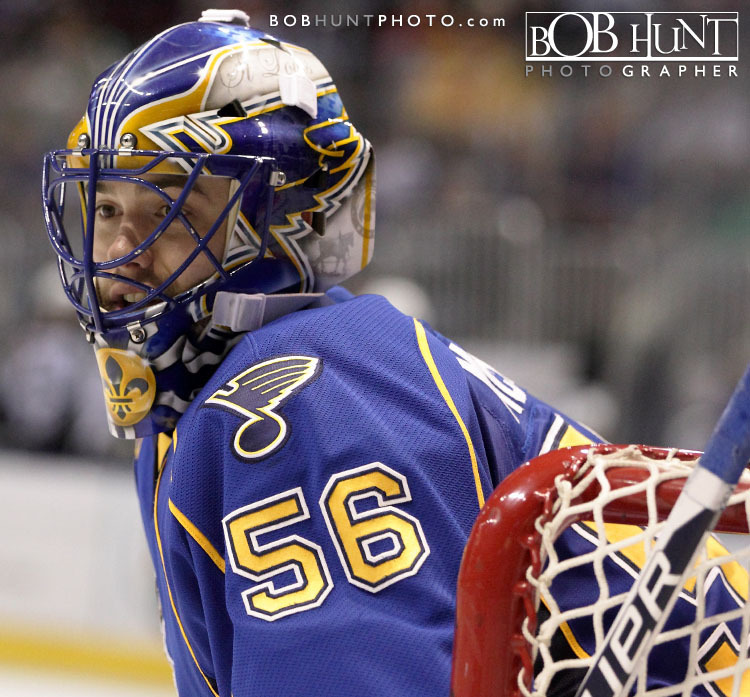 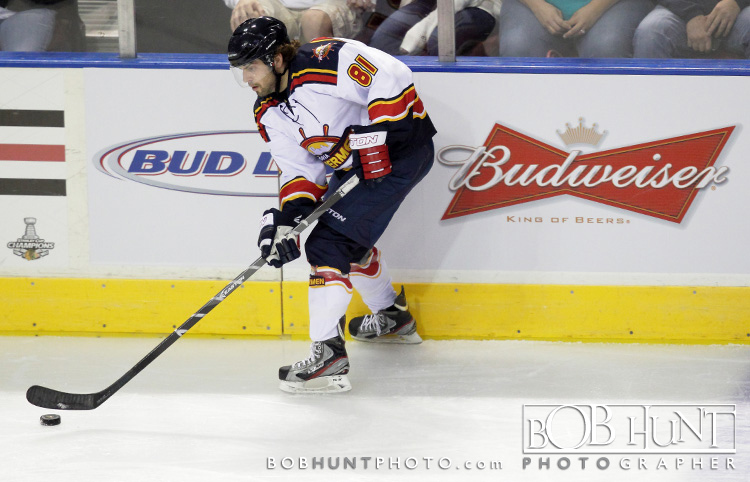 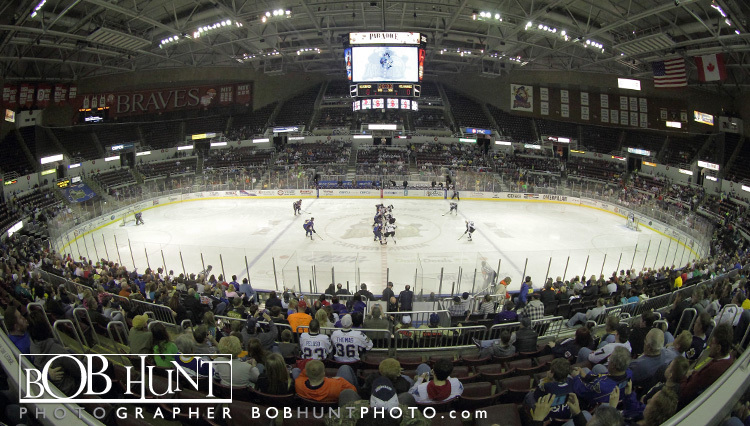 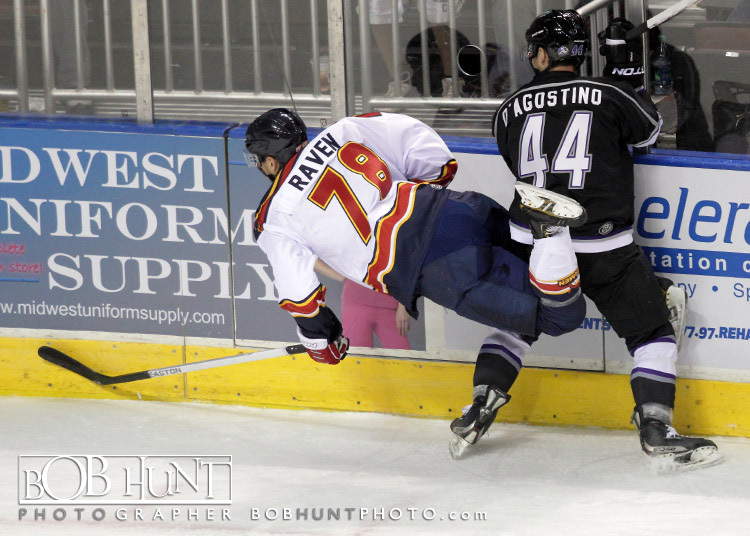 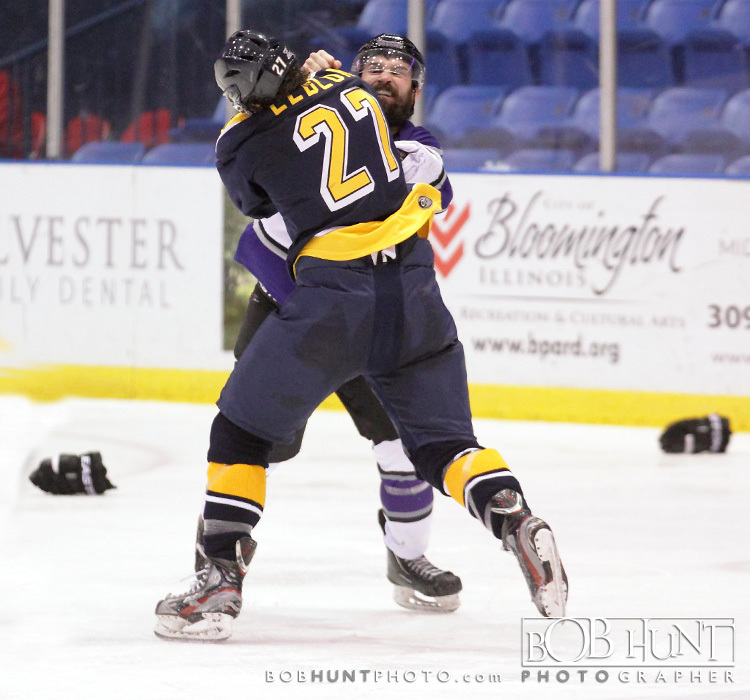 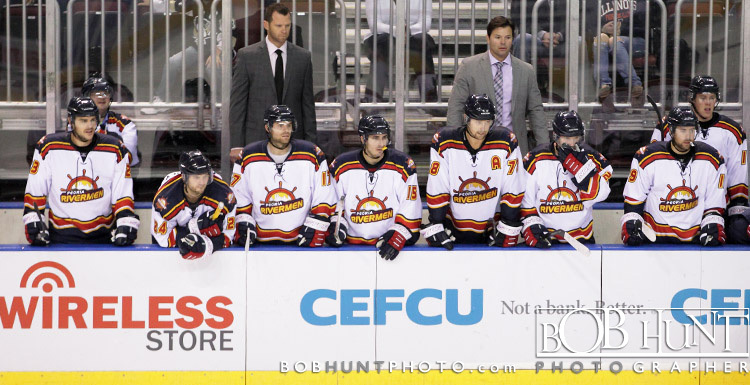 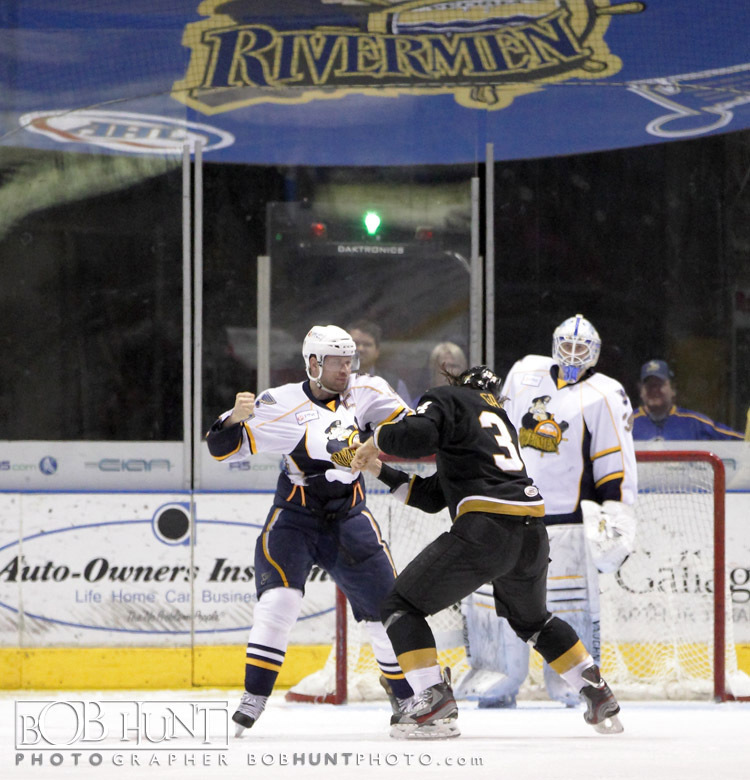 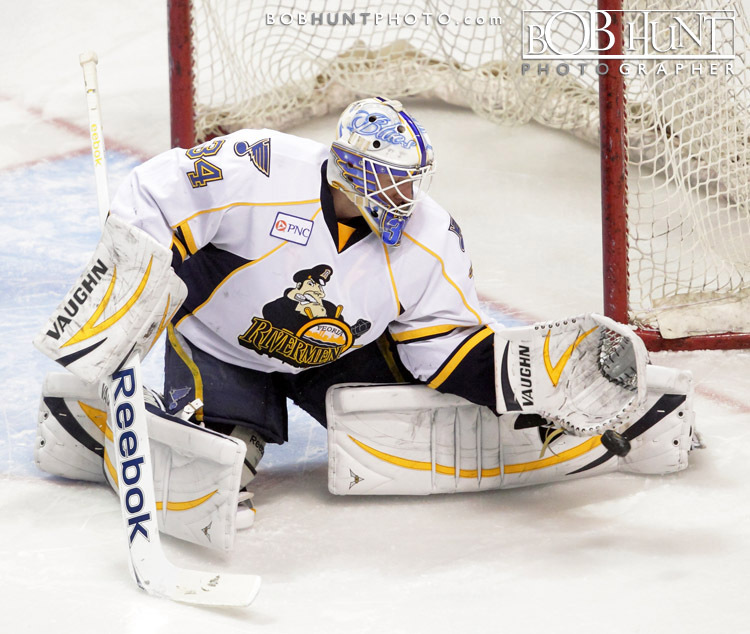 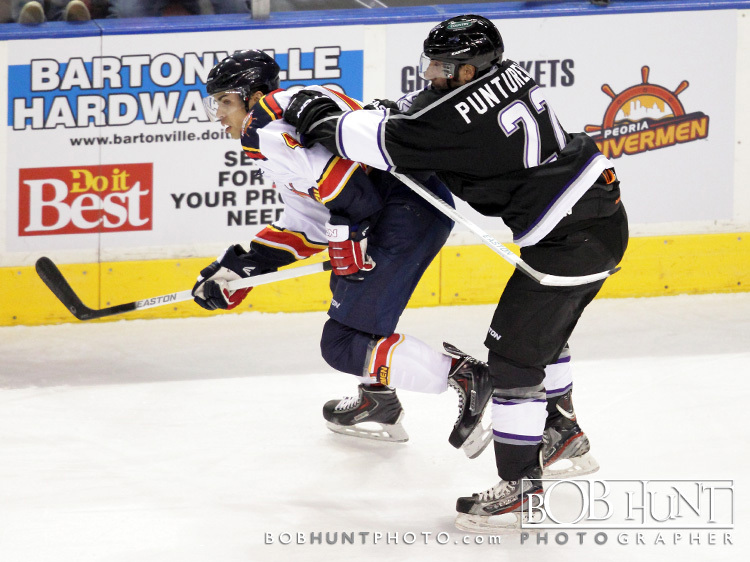 The Rivermen improved to 2-0-0-0 on the season, while backup goaltender Russ Stein made his professional debut and went on to earn his first pro victory. 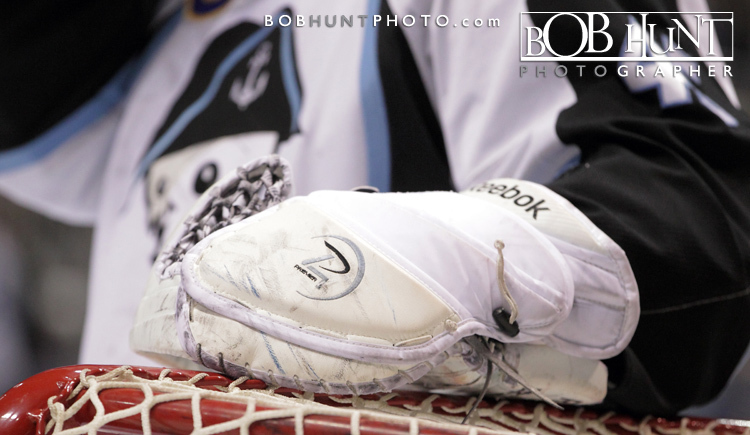 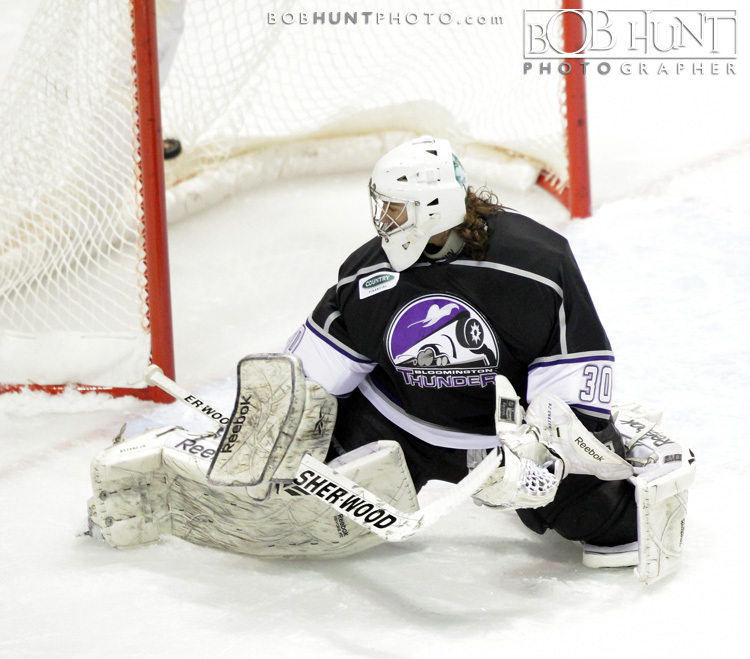 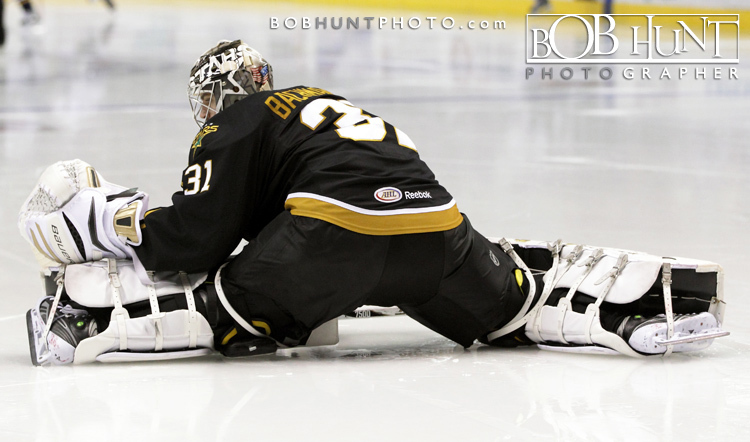 Stein made 20 saves on 23 shots over 40 minutes of play. 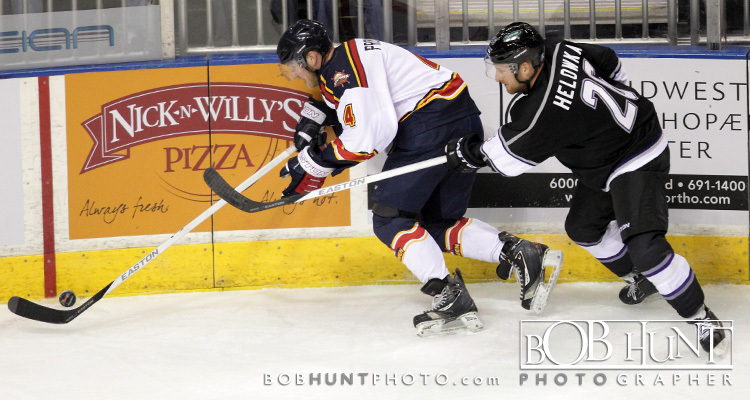 Then with the seconds winding down in regulation, Rivermen winger Parker Stanfield gained the zone and left the puck for Vermeersch, who buried a slap shot from the left side into the back of the net for the game-winner at 19:56. 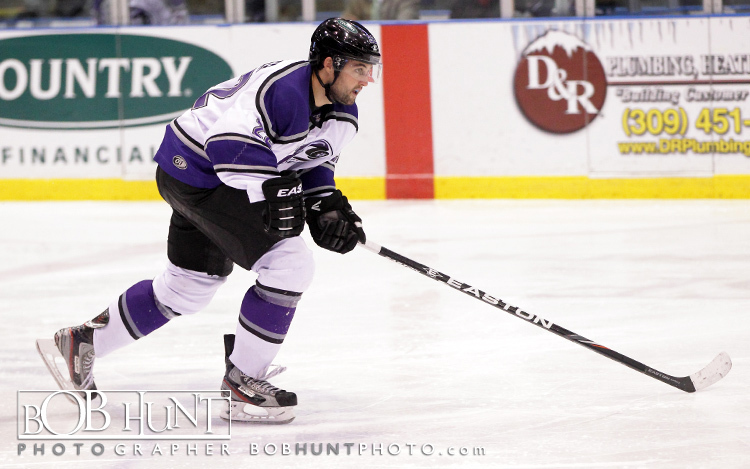 Vermeersch finished the game with four points including an assist. 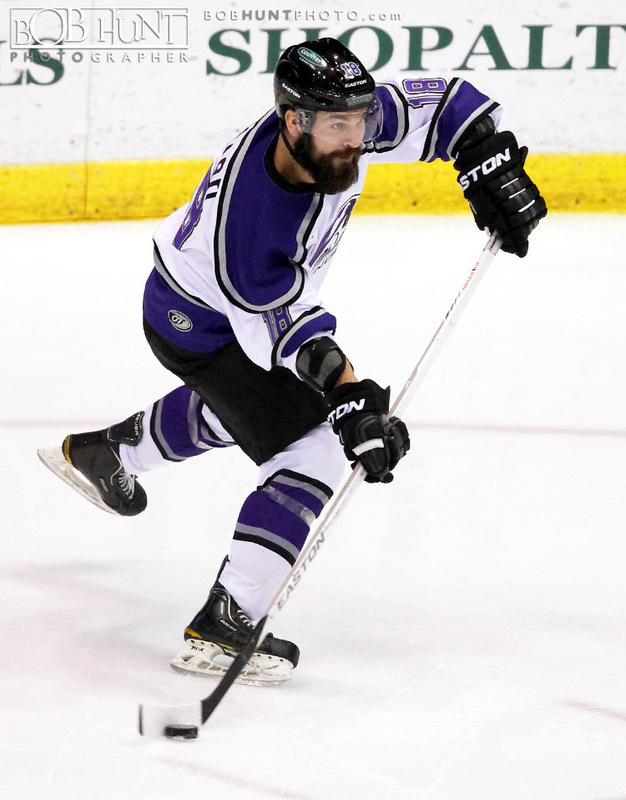 Tyler Fernandez (1g, 2a), Jarrett Rush (2a) and Joe Schiller (2a) also notched multi-point games. 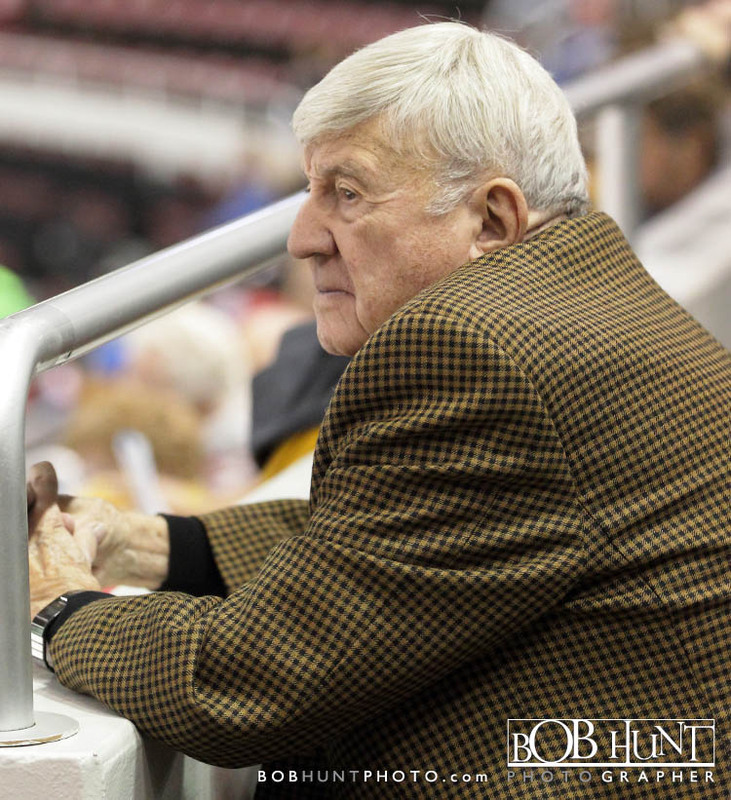 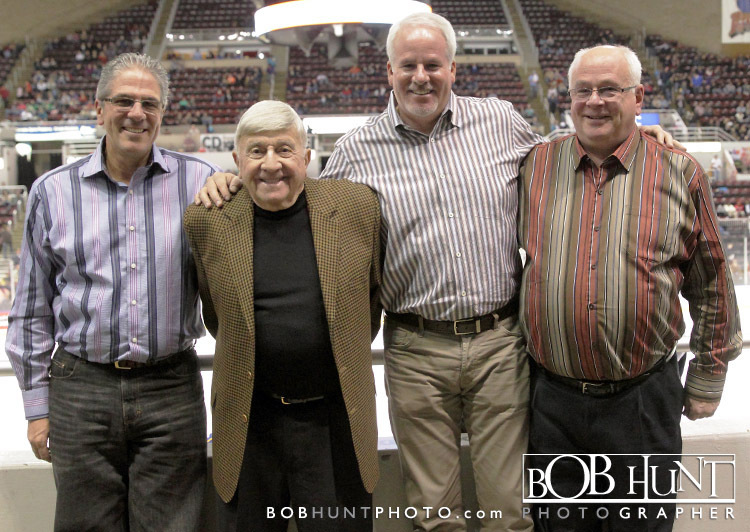 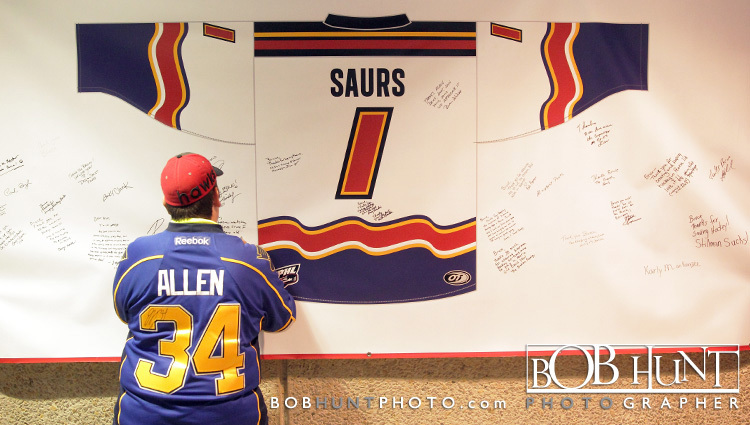 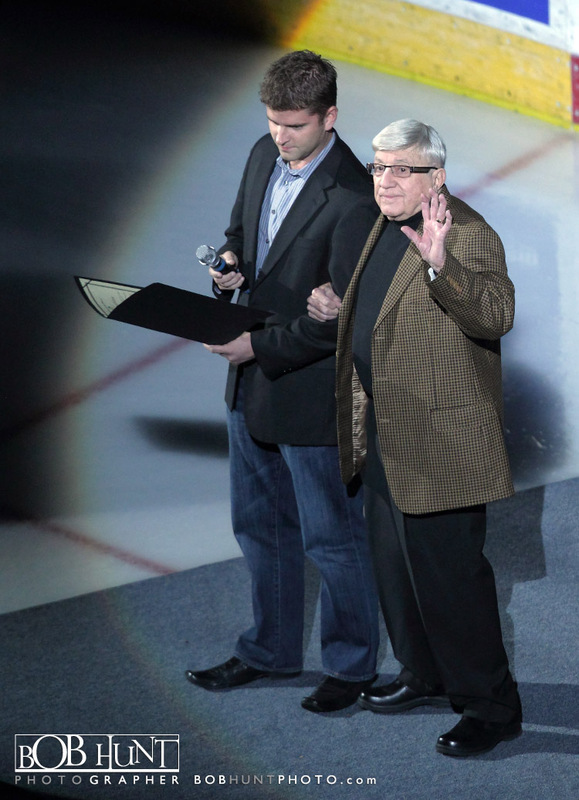 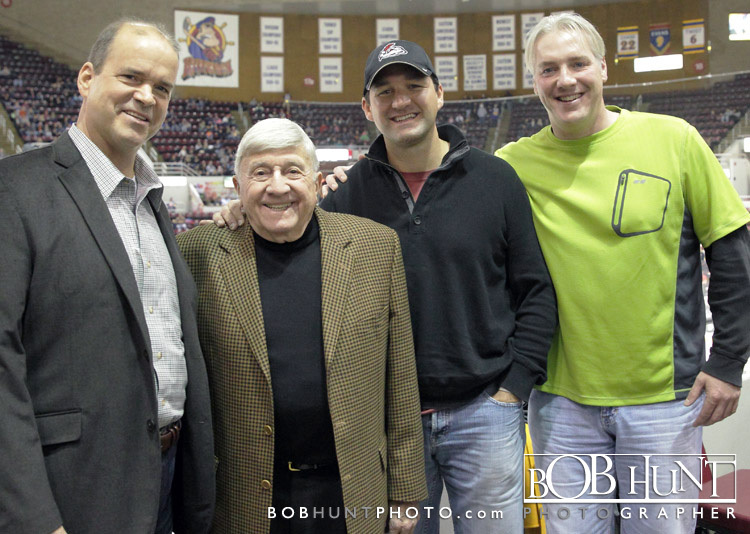 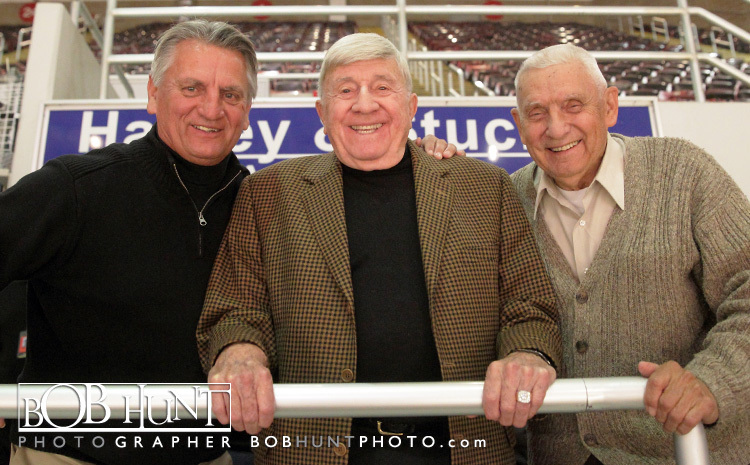 Peoria Mayor Jim Ardis, working with Rivermen co-owners Bart Rogers and John Butler, formally declared the home opening game Saturday as Bruce Saurs Hockey Night in Peoria. 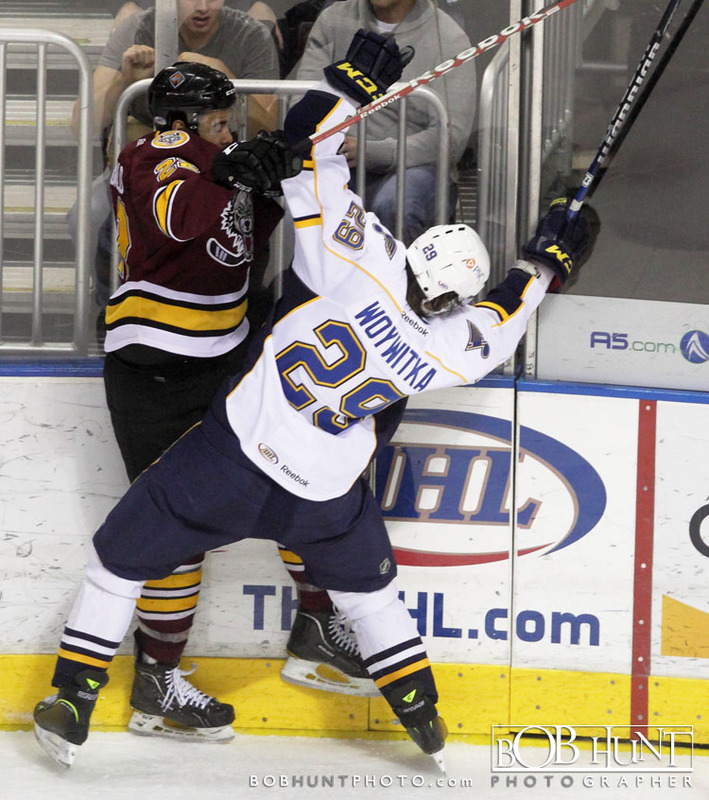 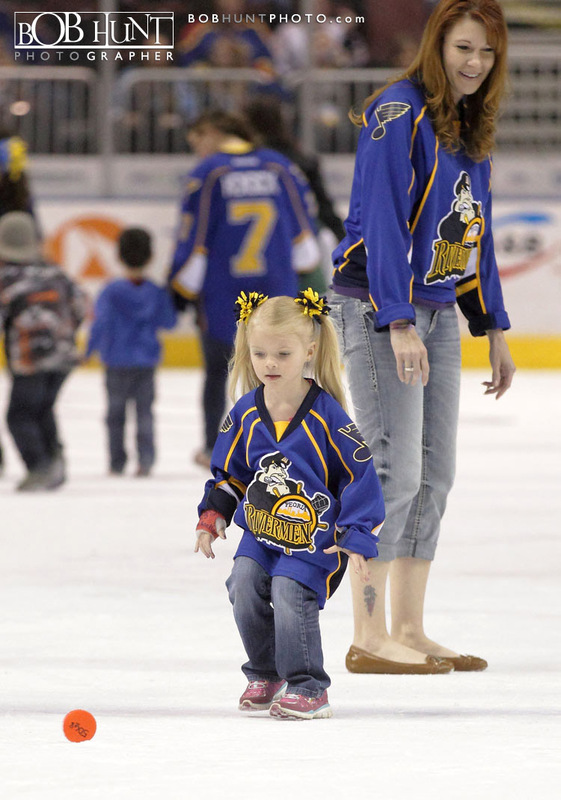 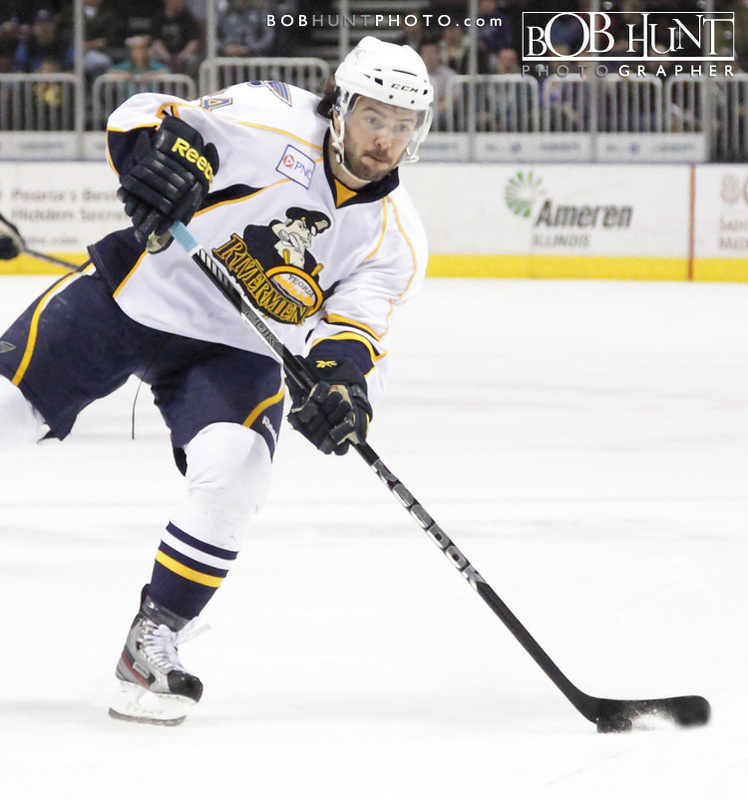 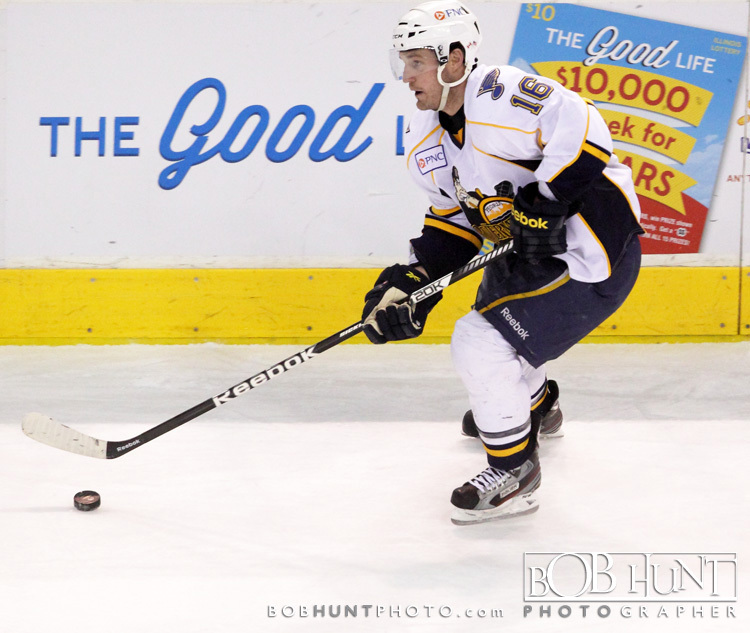 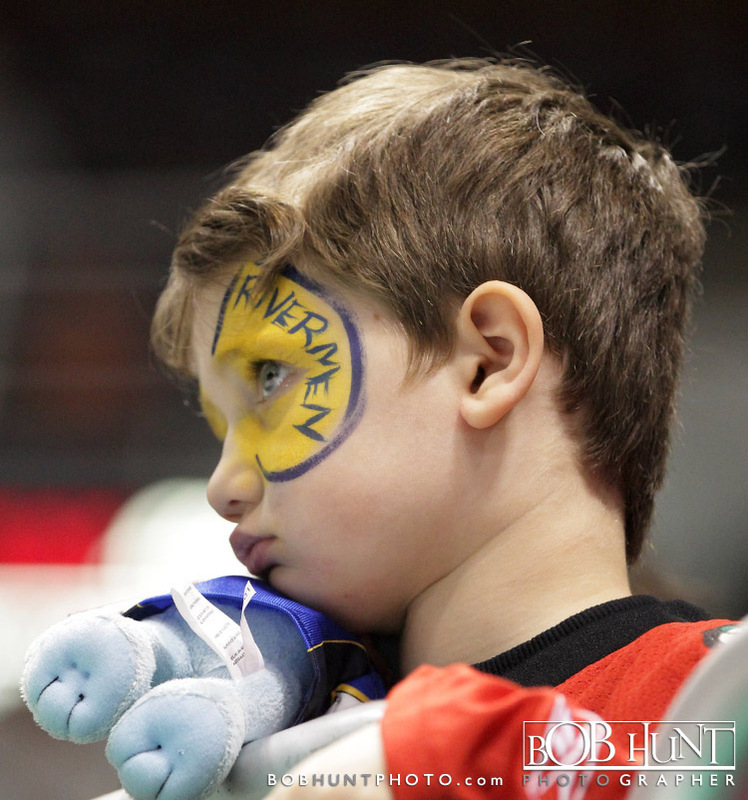 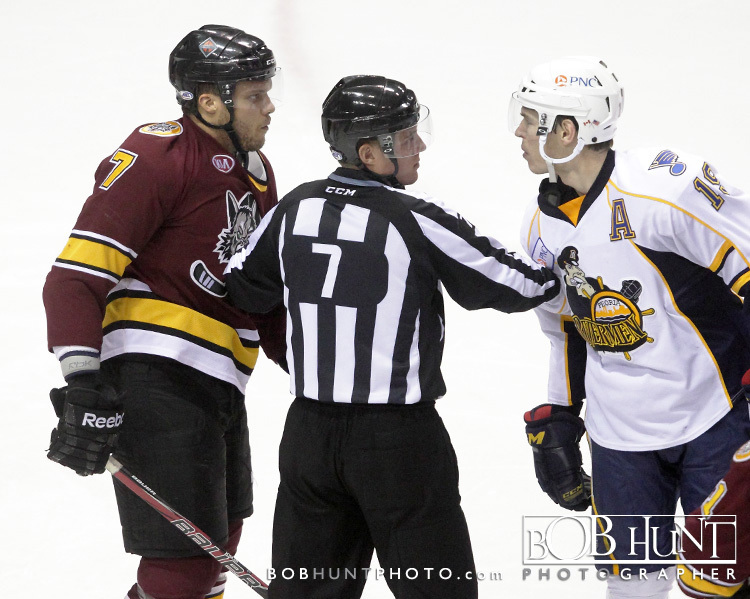 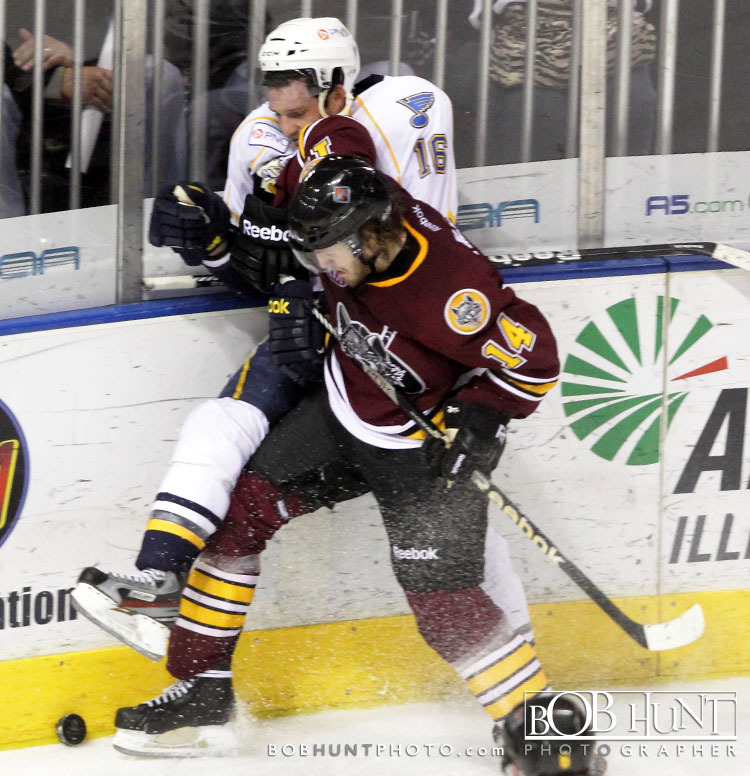 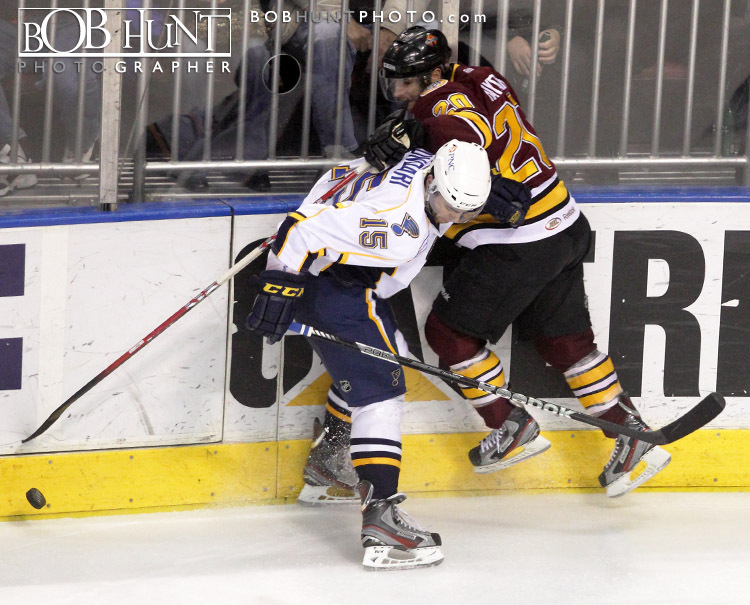 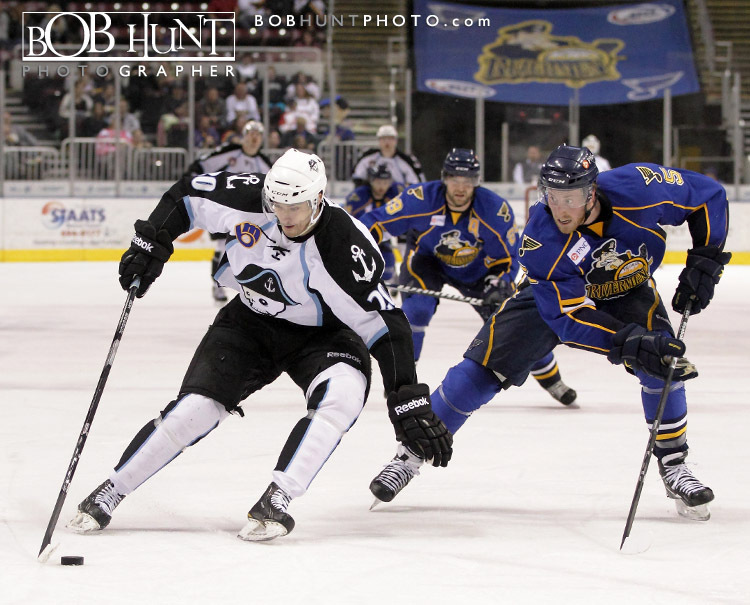 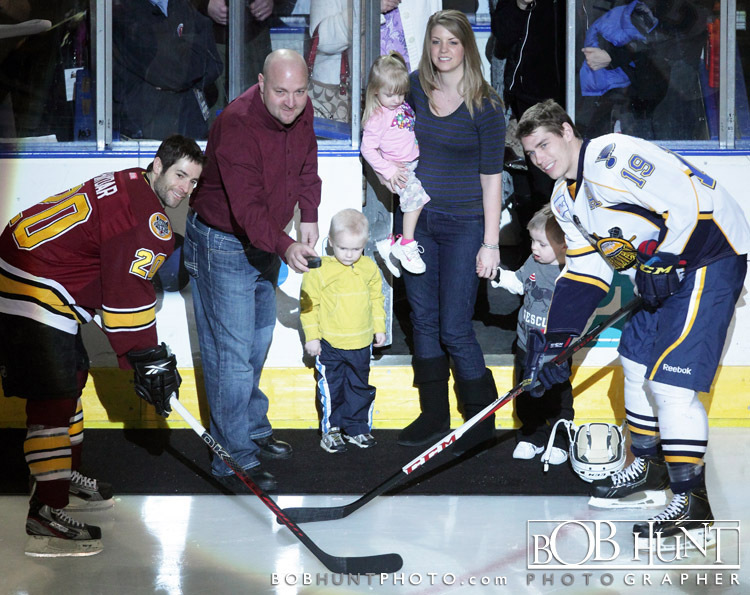 Darren Haydar spoiled Jake Allen’s return to the Peoria Rivermen when he scored a goal and added two assists within a 3:38 span to lead the Chicago Wolves to a 3-0 victory over the Rivermen Saturday night at Carver Arena before 6,881 fans. 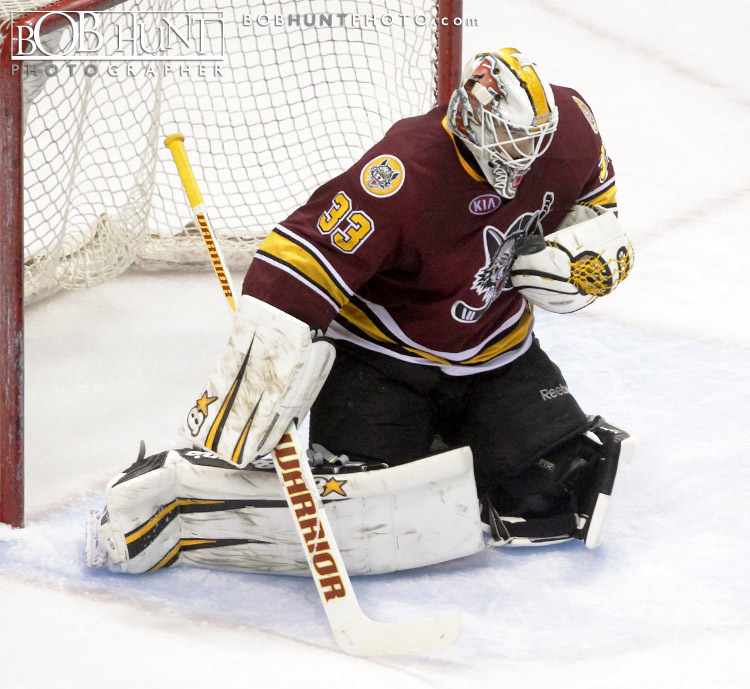 Matt Climie recorded his third shutout of the season with a 38 saves to help the Wolves to their first win in Peoria this season. 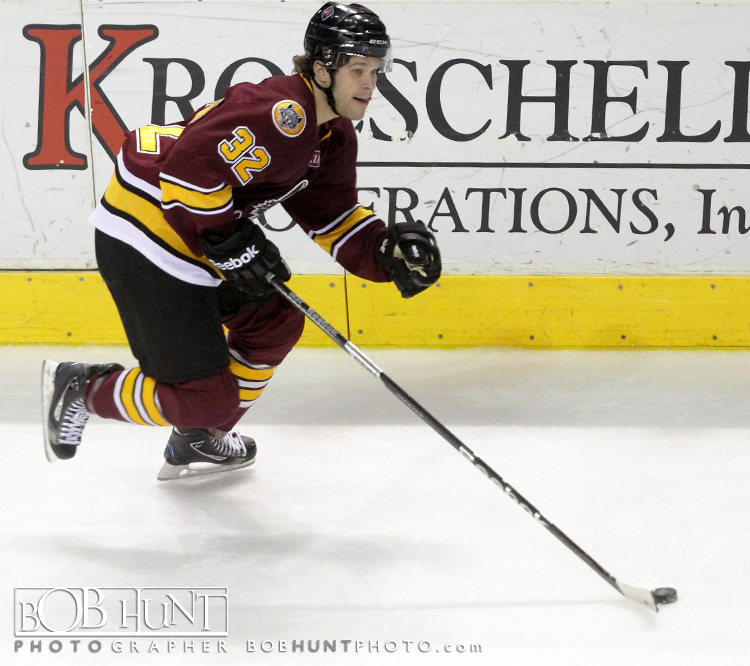 The third period featured the Wolves scoring three goals in the first 6 minutes. 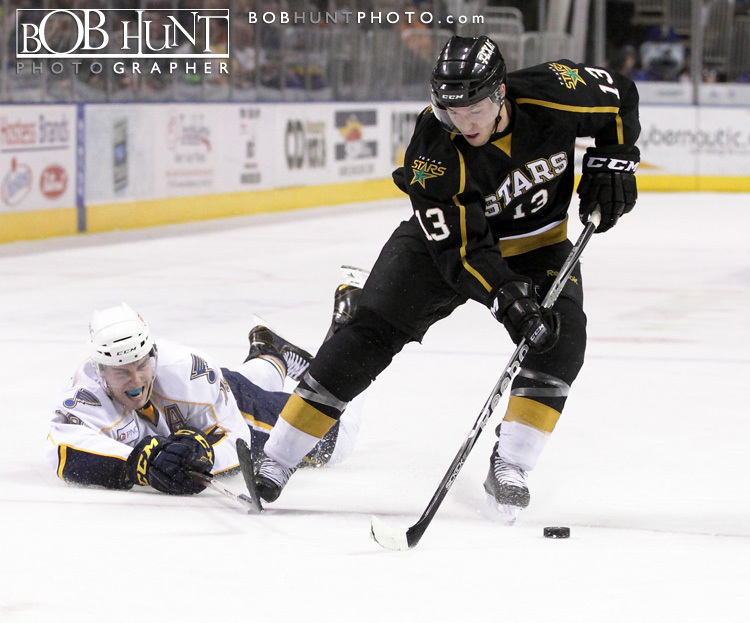 After forcing a turnover, Andrew Ebbett passed the puck to Haydar, who scored his team-leading 16th goal of the season past Allen to break the tie at 1:50. 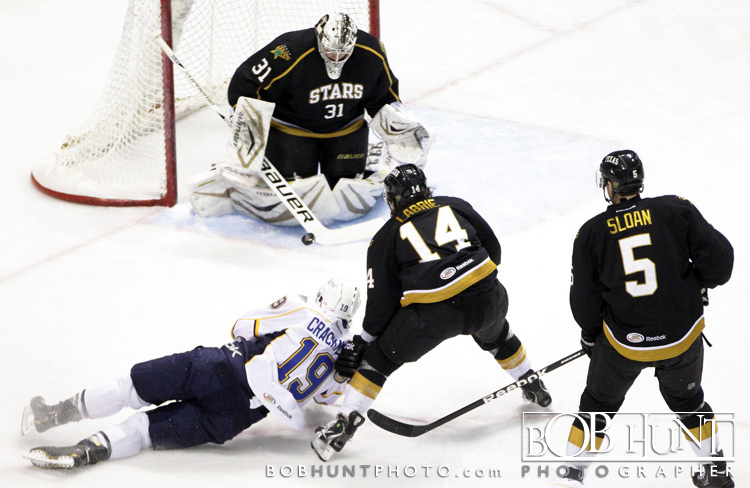 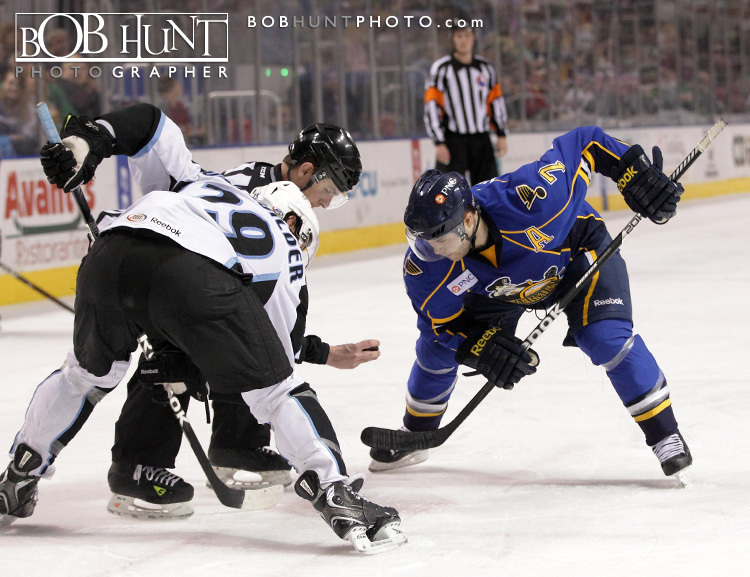 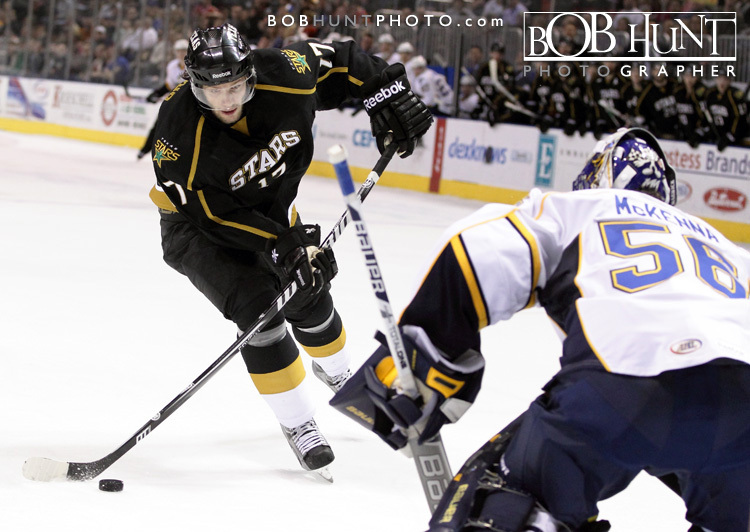 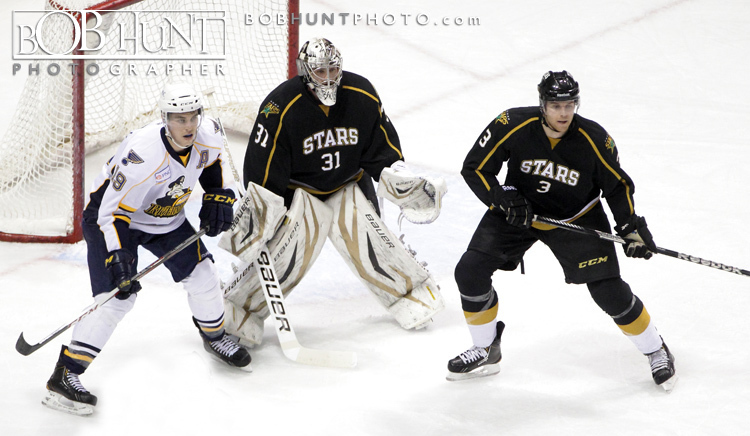 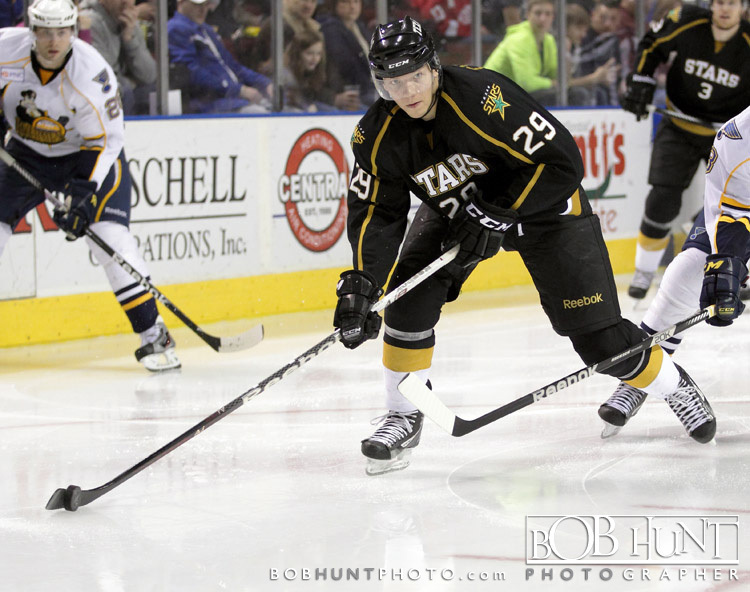 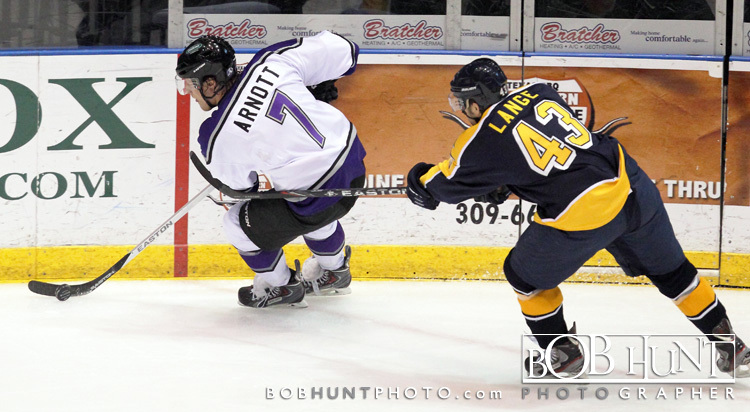 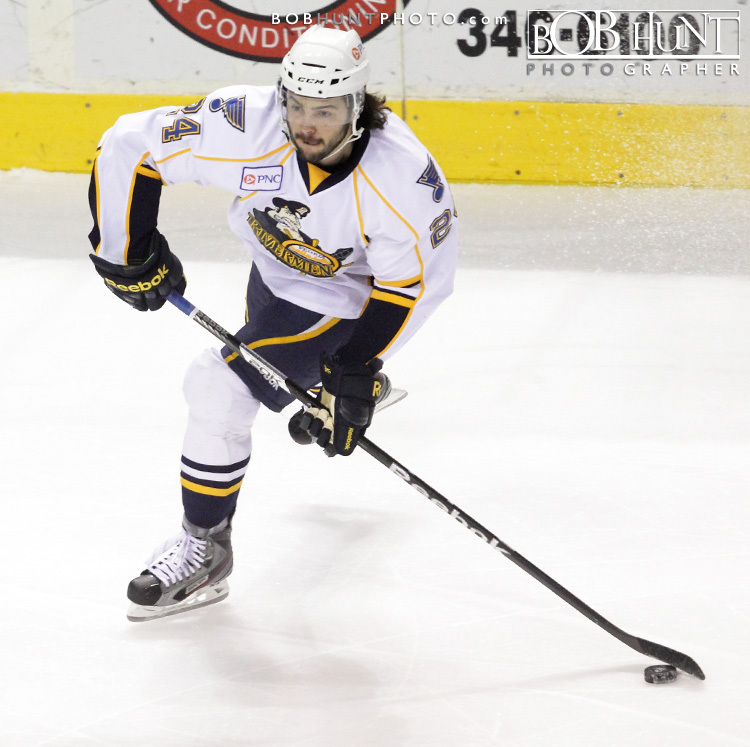 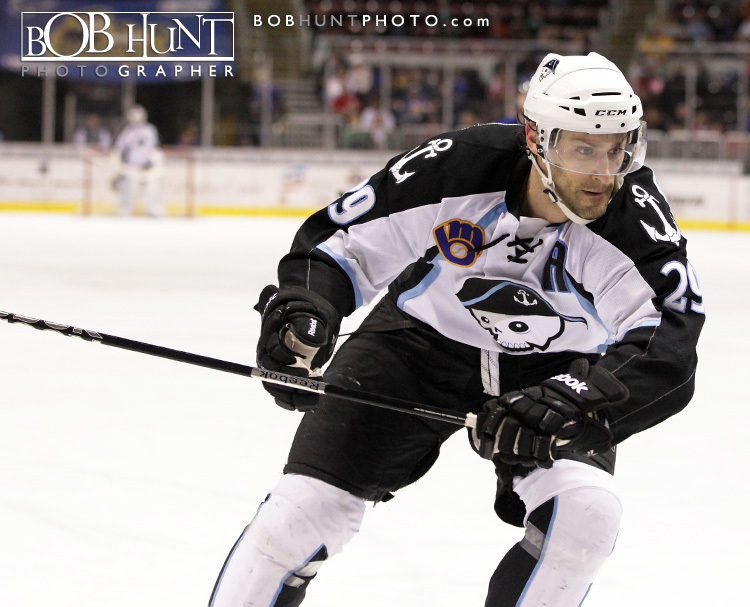 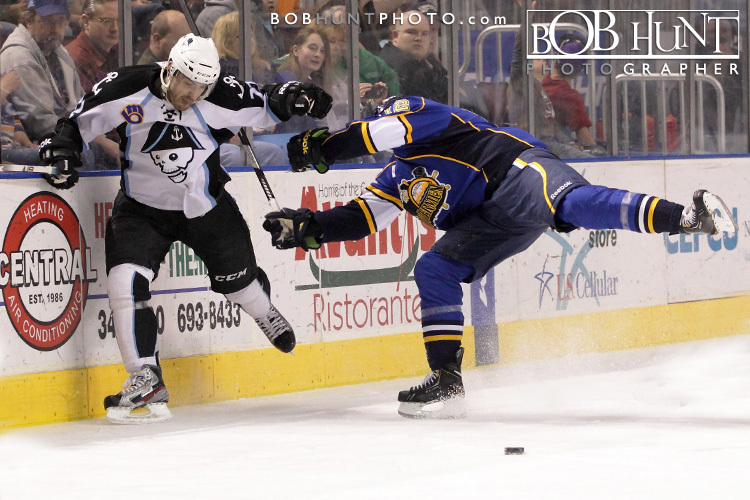 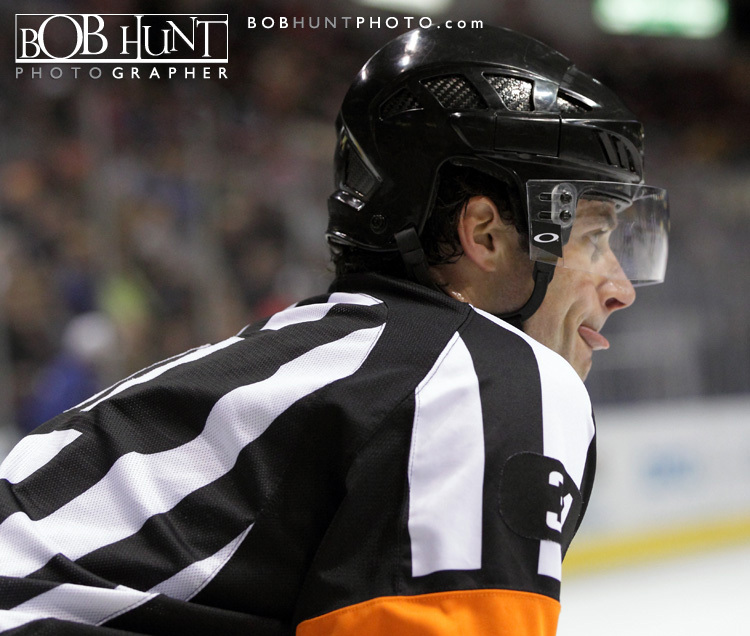 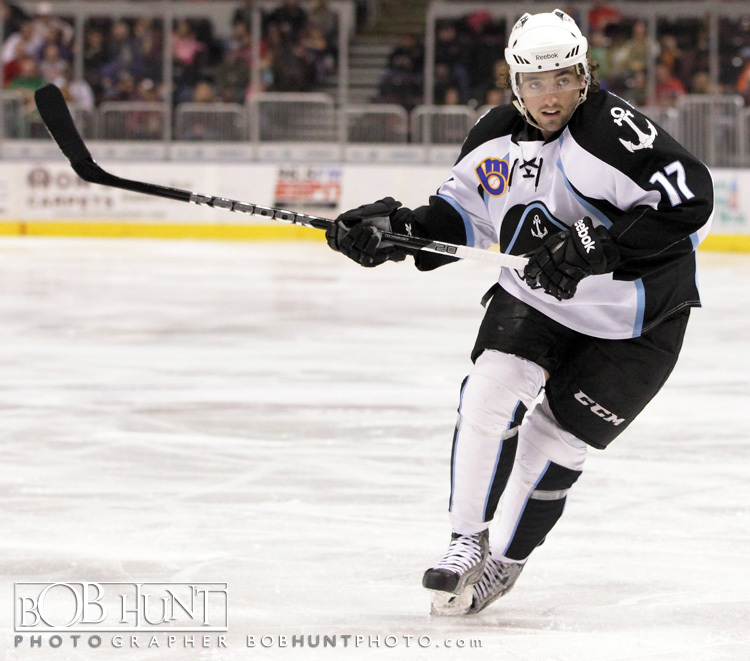 Next, Ebbett added a goal of his own after rebounding a shot from Haydar. 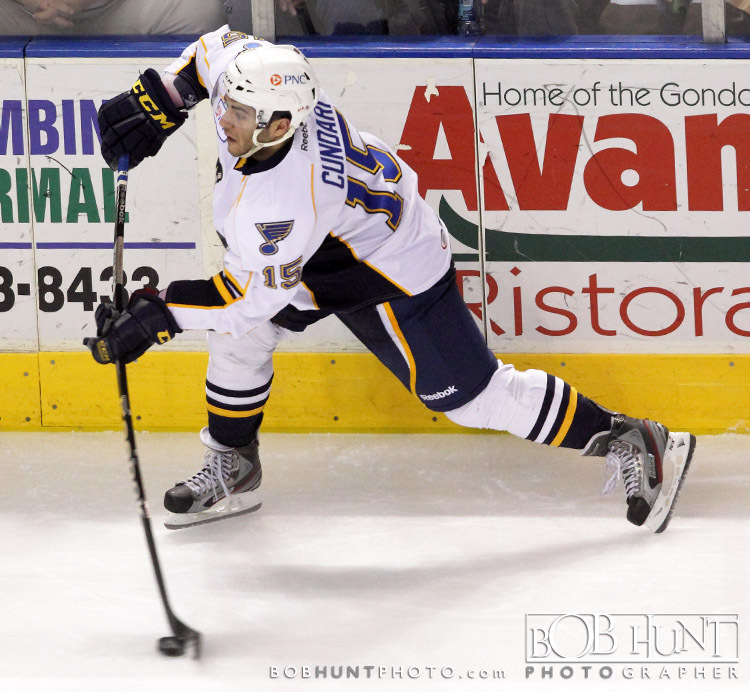 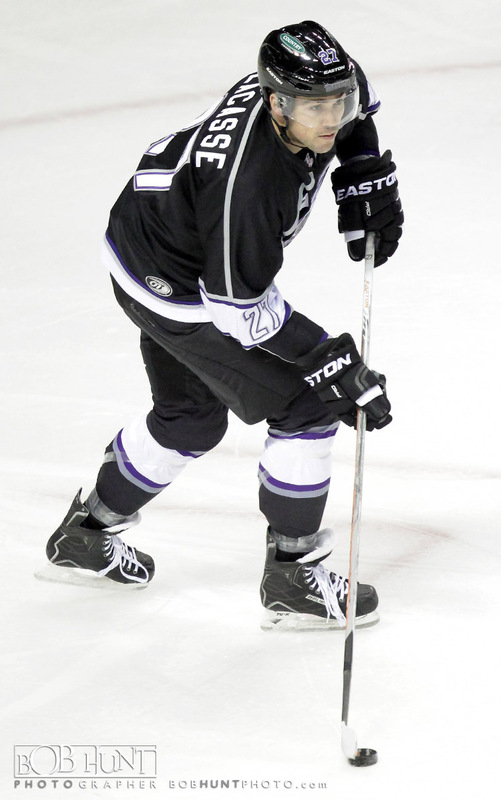 Kevin Connauton also earned an assist on the goal at 3:01. 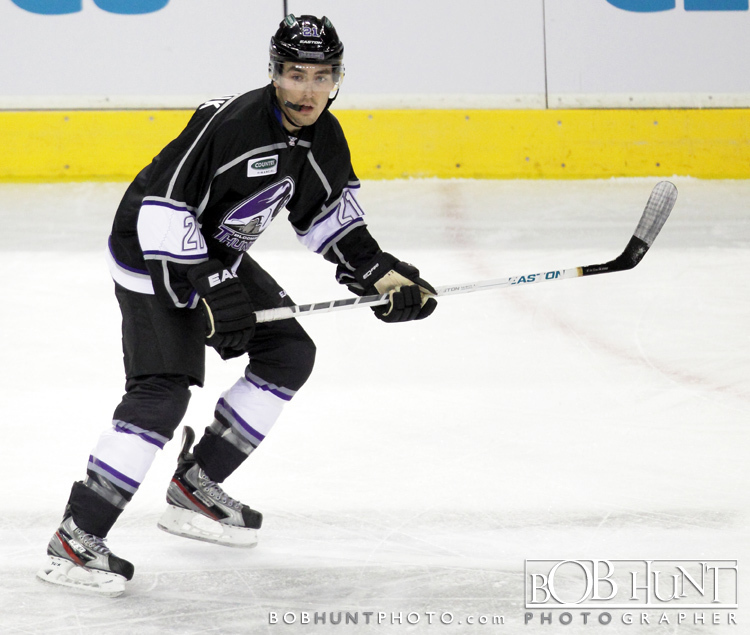 Lastly, Haydar led a 2-on-1 break and pushed a pass to Devin DiDiomete, who scored his second goal of the year on a one-timer at 5:28. 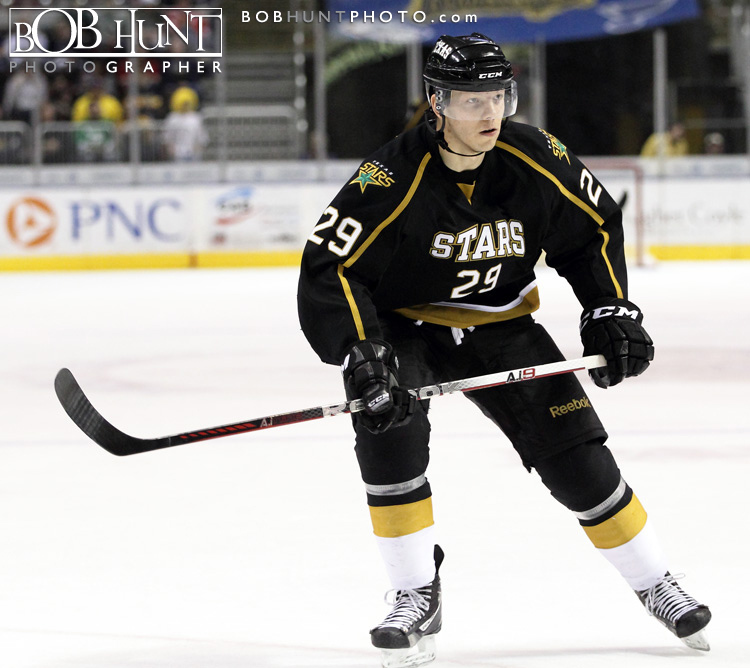 Connauton was credited with another assist on the play.